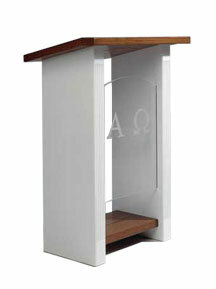 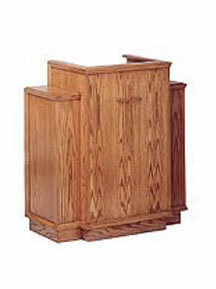 Our handcrafted pulpits add elegance and functionality to any worship space. 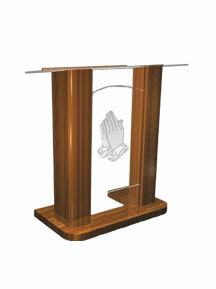 Available in wood and acrylic, with etched plexiglass features on some models. 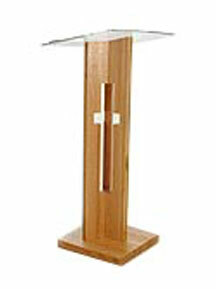 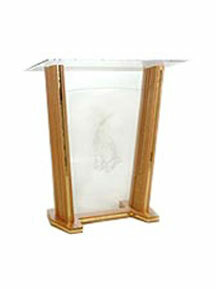 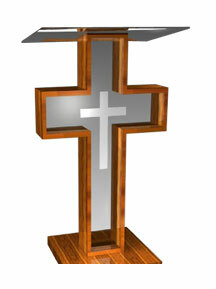 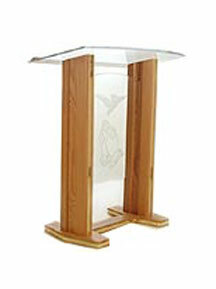 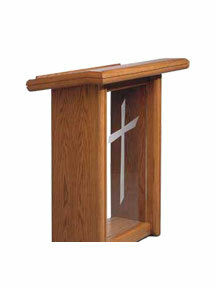 ChurchPlaza supplies beautiful pulpits for your sanctuary. 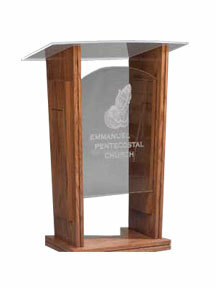 Crafted with the quality and attention to detail that set our church products apart, these pulpits will serve your congregation well. 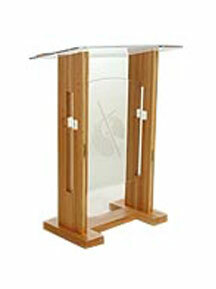 Solid oak wood and strong acrylic construction hold up to years of use. 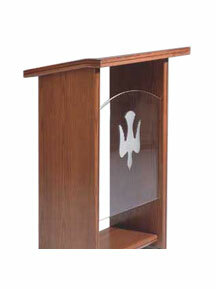 Additional features such as etched symbols add a personalized touch. 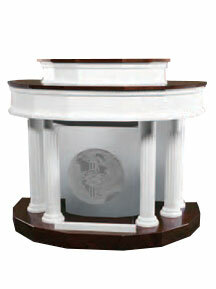 Ask our representatives about custom design information. 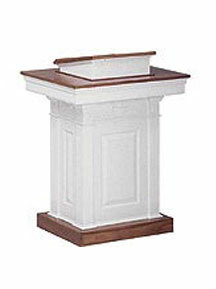 Contact us when you’re ready to purchase, and we will answer any questions you have.